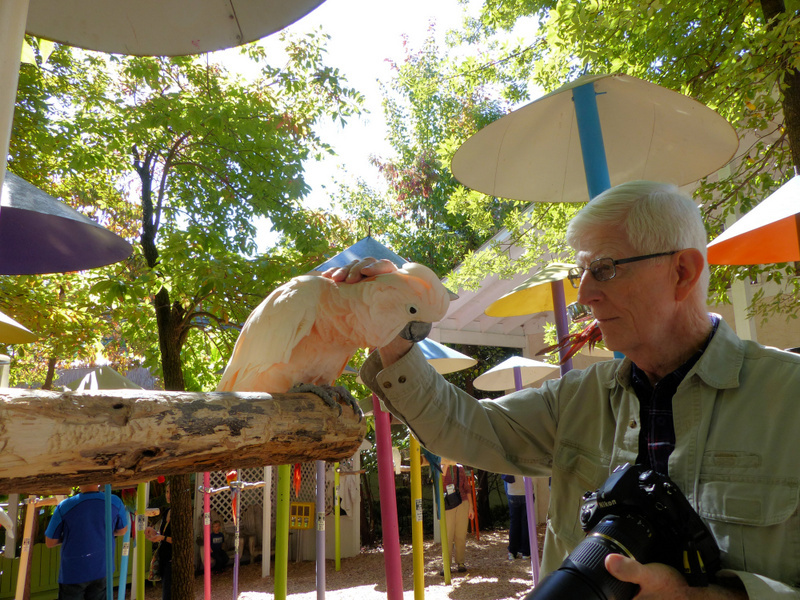 As you may recall, Dan and I visited the Parrot Mountain and Garden of Eden in Gatlinburg, Tennessee this summer. There have been devastating fires up in the mountains in that area due to severe drought conditions. Many places have been destroyed in the Gatlingburg surrounding area. Dollywood, who has quite a collection of Eagles and Parrot Mountain with their Parrots were to close for comfort, but the Lord has been good to them and their keepers. 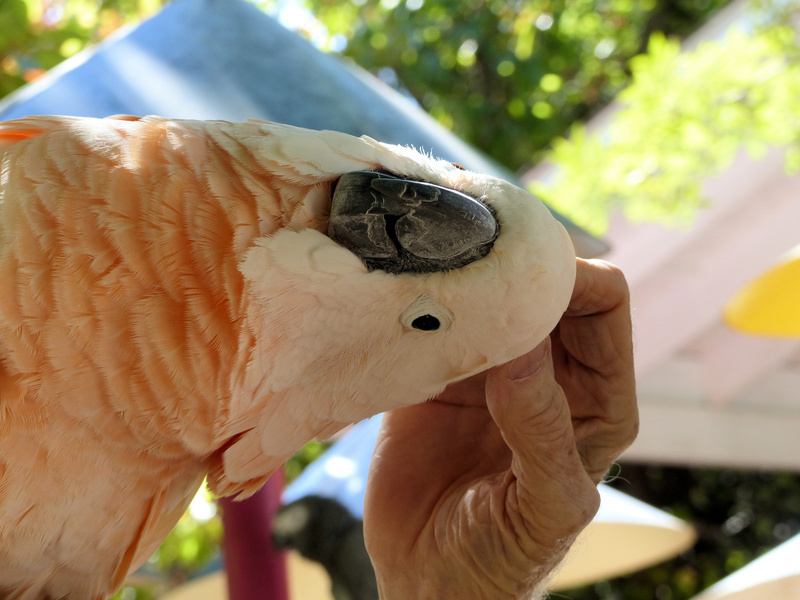 This entry was posted in Birds, Birdwatching, Christian and tagged Birds, Christian, Christianity, Creation, Dollywood, Eagles, Nature, Parrot Mountain, Parrots, Tennessee Wildfires. Bookmark the permalink. Great photo of Dan, Lee! Cockies love attention, they are great attention seekers even in the wild. Pleased to read that the birds were spared; I saw some of the devastation from the fires on TV yesterday. Our turn is coming up as we move into very hot dry weather, even today we are heading for 34C(94F). Great pictures Aunt Lee! I didn’t realize y’all were up in Gatlinburg this summer! We went to Ind and stopped to see the ark and then through the mtns. Found a great ancestry discovery last night. Will share via email. Thank you, I pass that one to Dan.